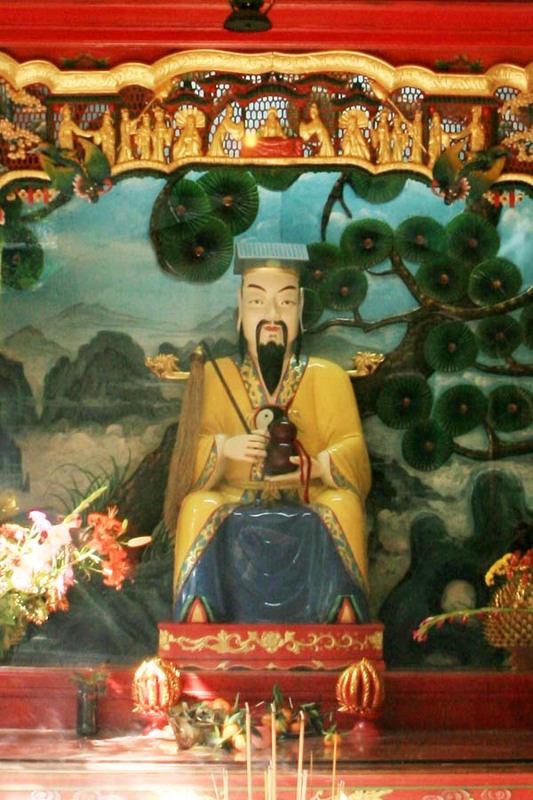 According to the Self-Description of Chisongzi (Chisongzi literally refers to Master Red Pine), Wong Tai Sin, originally named Wong Cho Ping, was born in Lanxi, Jinhua, Zhejiang Province around 328 CE. At the age of fifteen, he was inspired by an immortal and began practicing Taoism in the Red Pine mountain. After forty-year isolation and cultivation in Taoism, he finally achieved immortality and thus helped people by eliminating evils and providing treatment and medicine for free. As a hermit in the Red Pine Mountain, Wong was also known as Red Pine Immortal .